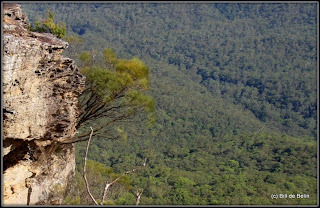 View from Flat Rock lookout. 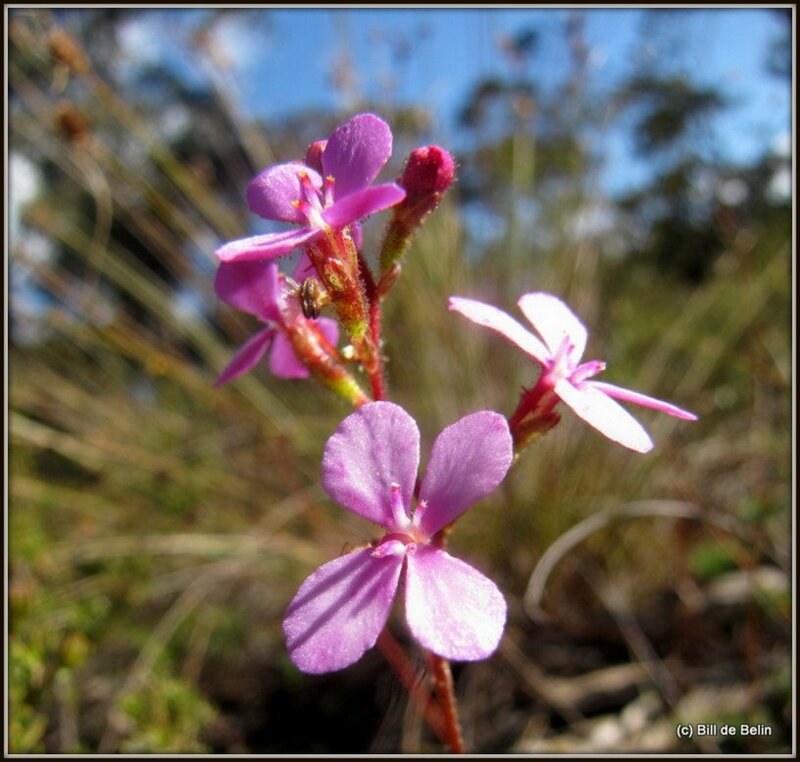 Stylidium lineare - Narrow-leaf Trigger Plant. 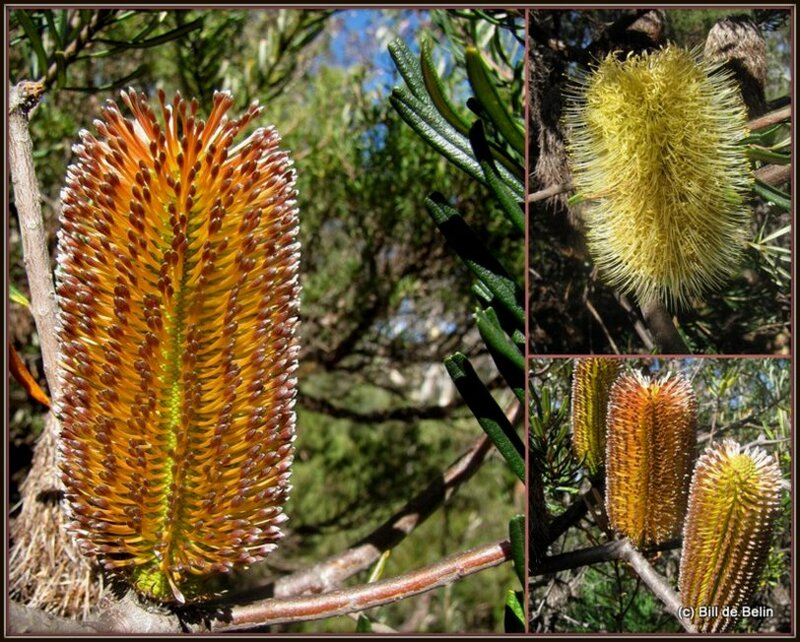 Banksia marginata - Silver Banksia. 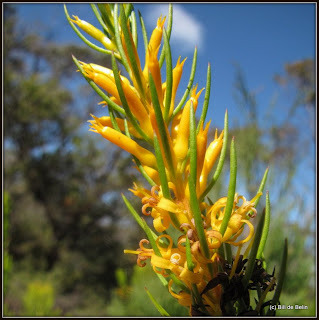 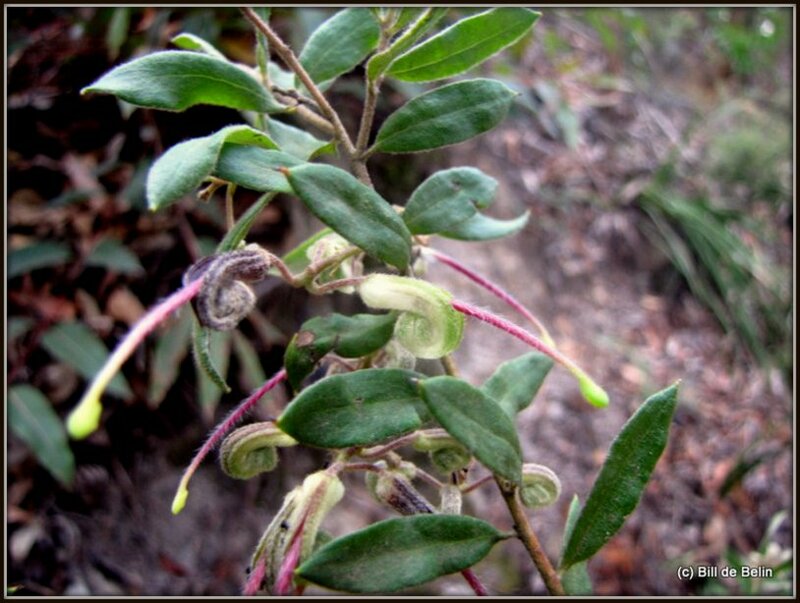 Persoonia acerosa - Mossy Geebung. 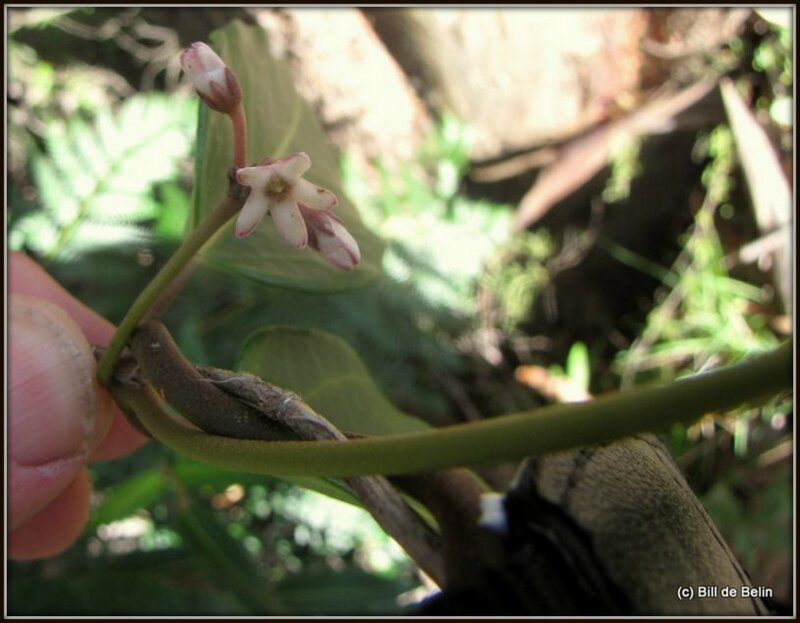 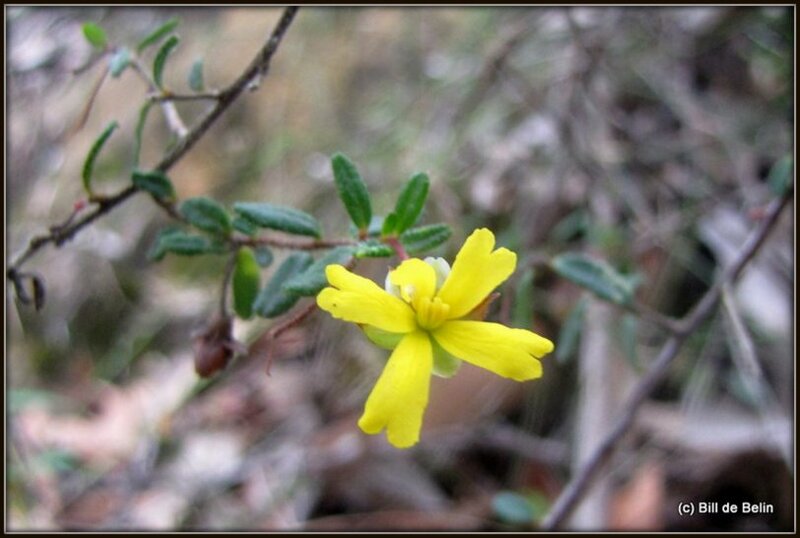 Threatened Species Conservation Act 1995 (NSW). 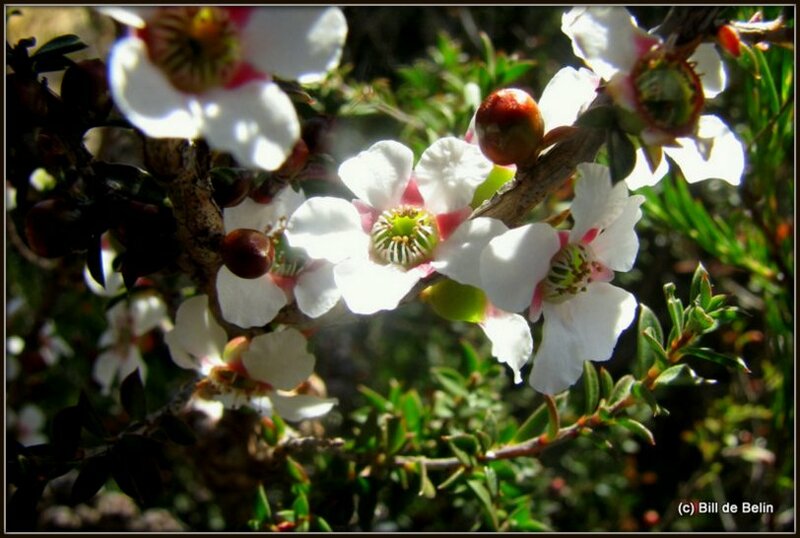 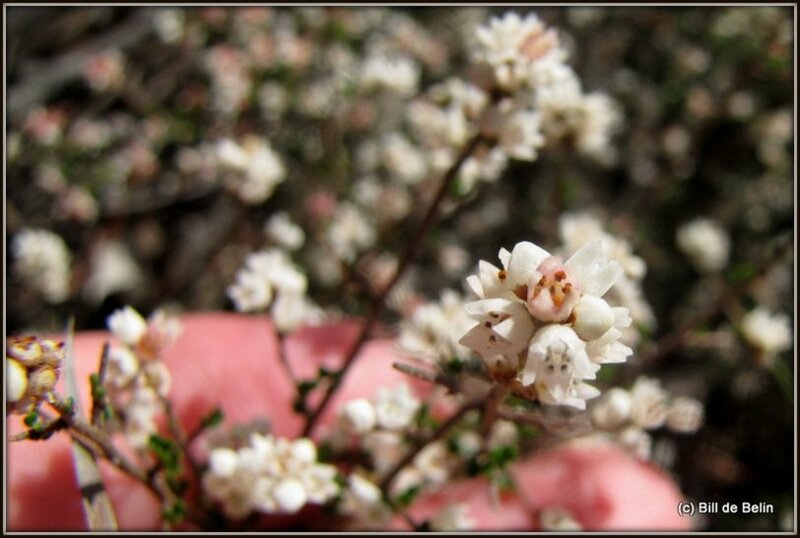 Leptospermum squarrosum - Pink Tea-tree. 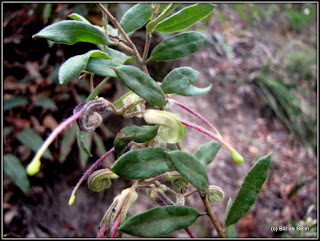 Amyema pendulum subsp. pendulum - Drooping Mistletoe. 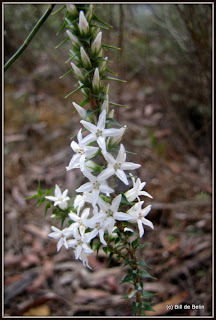 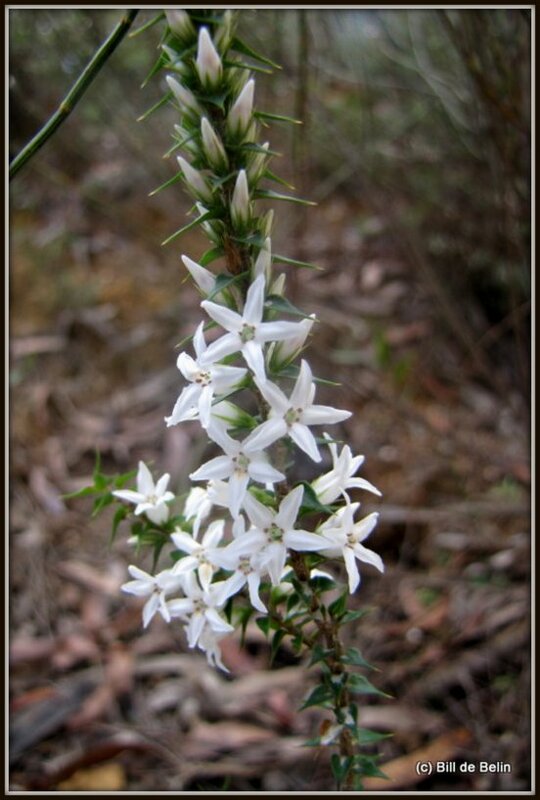 Epacris pulchella - NSW Coral Heath. 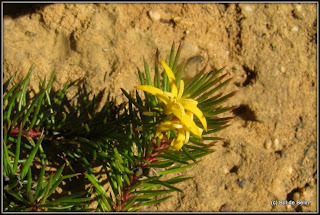 Grevillea mucronulata - Green Spider-flower. 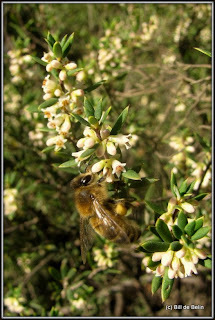 Persoonia chamaepitys - Prostrate Geebung. 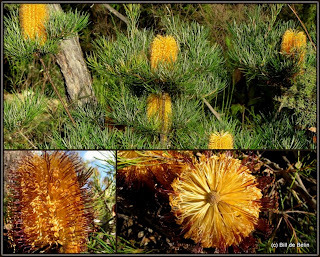 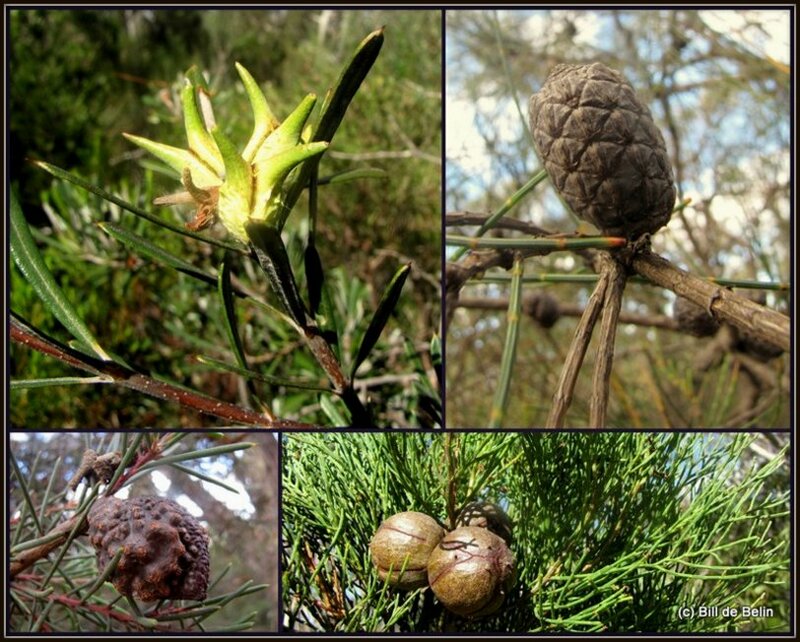 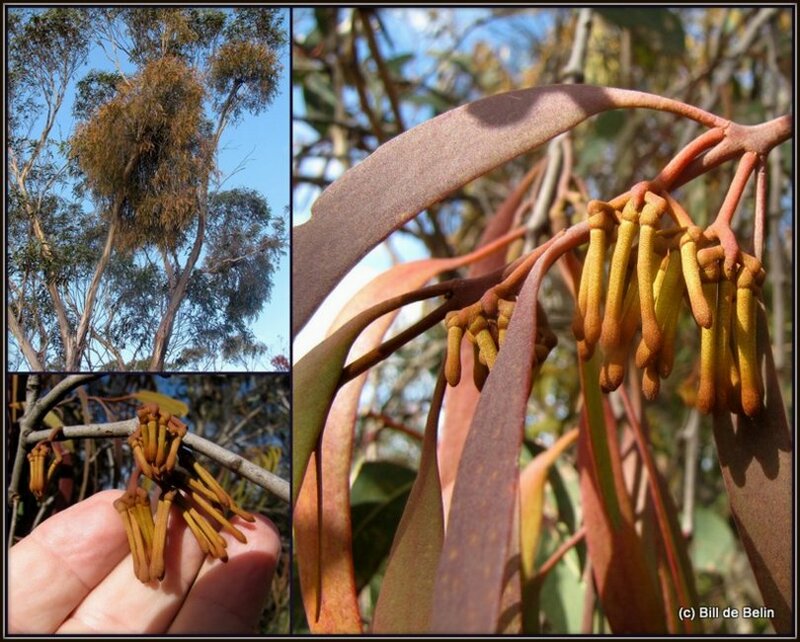 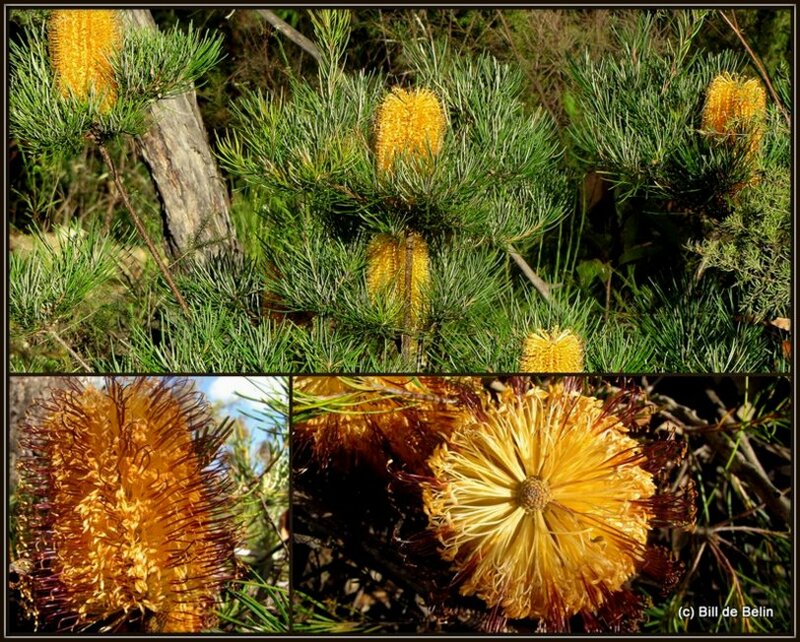 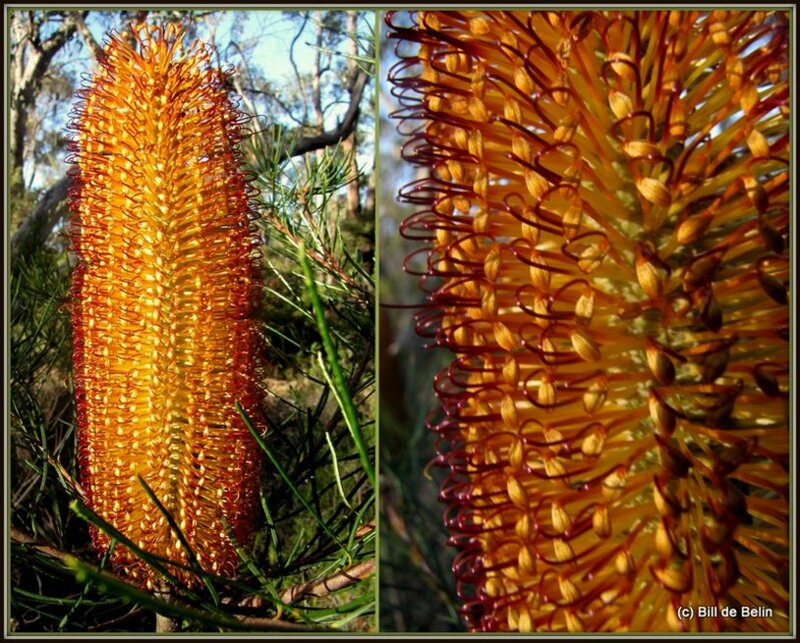 Fruiting parts, clockwise: Hakea propinqua, Lambertia formosa (triplets), Allocasuarina nana, Callitris muelleri . 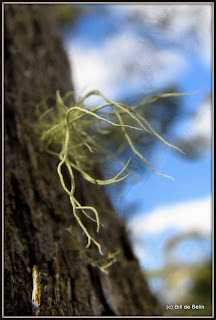 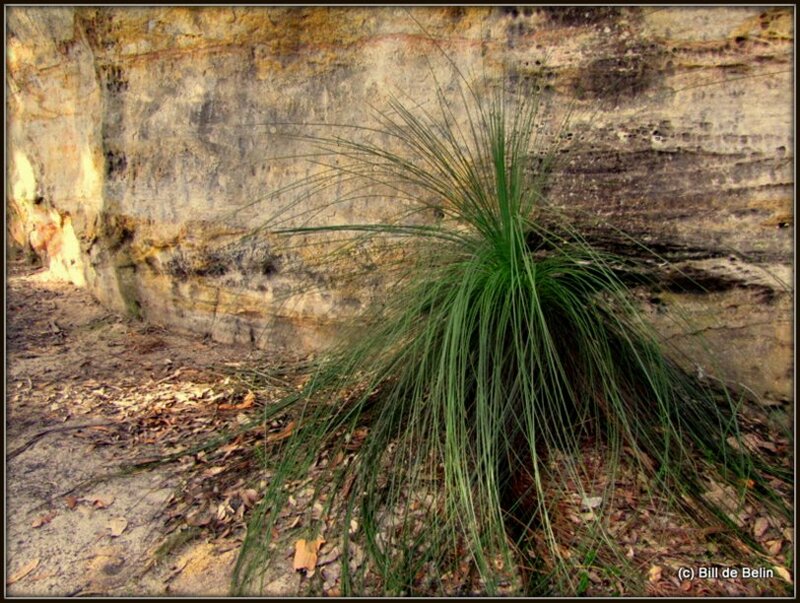 Xanthorrhoea sp - Grass Tree. 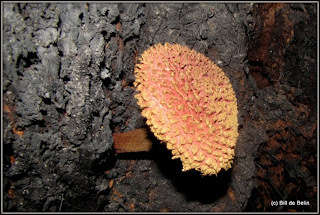 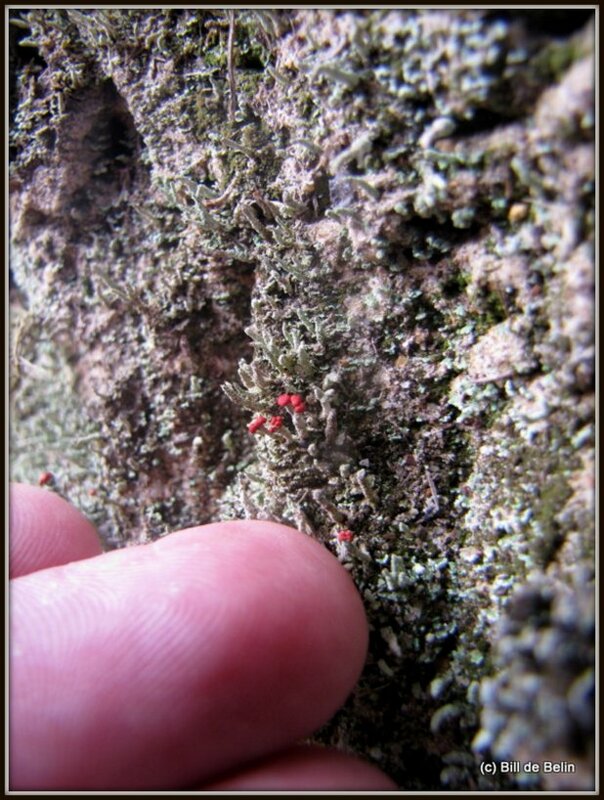 Growing alone under sandstone overhang. Marsdenia suaveolens - Sweet Scented Doubah. "I got this spot for the view." Being enjoyed by a feral honeybee. 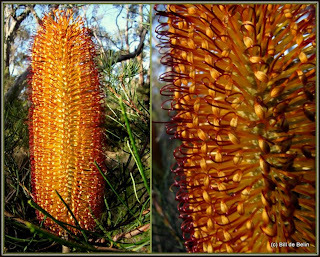 Banksia spinulosa - Hairpin Banksia. 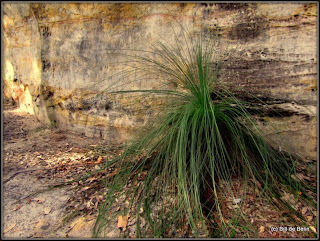 Only found around Sydney sandstone.